After two and a half years in Sales Engineering at Jive Software, I’m exploring what’s next for me. I’ve enjoyed my time as both a Subject Matter Expert on SharePoint and as a Field Sales Engineer. And now, it’s time to move one. What’s next? I’m not 100% positive yet, but it probably looks a lot like what I’ve done before. For the past 20 years, I’ve focused on helping others take advantage of web and mobile communication and collaboration tools. Lately, my focus has been on packaged web collaboration software. Many of the companies I’m talking to today produce commercial, off-the-shelf software. If you think I can help you, please let me know. I’d be happy to take advantage of my deep and broad technical knowledge and experience with web collaboration software and enterprise social networks. Also, I’m open to learning something new. I’ve published my availability at https://resing.youcanbook.me/ If you’d like to set up a time to meet over the next couple of weeks while I’m considering options, feel free. 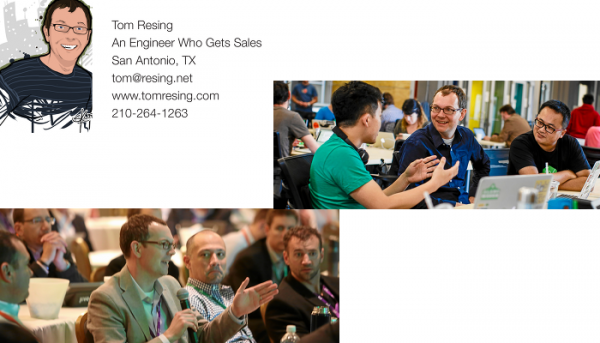 In the past couple weeks, I’ve already had some great discussions with some awesome people doing incredible things in the web software industry. I’m looking forward to connecting with you. 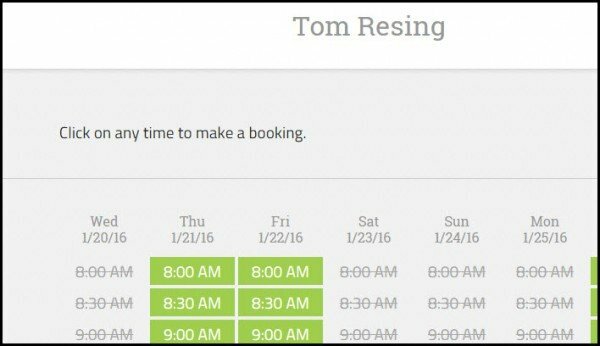 Tom, this is an awesome way to communicate your availability. Congratulations on your new opportunity at Microsoft!